We’d love your help. Let us know what’s wrong with this preview of Ghost in the Wires by Kevin D. Mitnick. Kevin Mitnick was the most elusive computer break-in artist in history. He accessed computers and networks at the world's biggest companies, and however fast the authorities were, Mitnick was faster, sprinting through phone switches, computer systems, and cellular networks. He spent years skipping through cyberspace, always three steps ahead and labeled unstoppable. For Mi Kevin Mitnick was the most elusive computer break-in artist in history. He accessed computers and networks at the world's biggest companies, and however fast the authorities were, Mitnick was faster, sprinting through phone switches, computer systems, and cellular networks. He spent years skipping through cyberspace, always three steps ahead and labeled unstoppable. For Mitnick, hacking wasn't just about technological feats; it was an old-fashioned confidence game that required guile and deception to trick the unwitting out of valuable information. To ask other readers questions about Ghost in the Wires, please sign up. Kevin Mitnick is not really a hacker. He’s more of a nerdy scam artist with a massive ego. Many other reviewers have described this book better than I can. They believe Kevin Mitnick is a sociopath and I agree. He is extremely proud of his “social-engineering” skills (his ability to lie to people convincingly). All of his scams are fairly similar. 2. While on the phone, pretending to be a co-worker, he sweet talks a well meaning but naïve employee into giving him access codes, passwords, restricted phone numbers, etc… This is how he gains entry into their restricted system. 3. Once inside the system Mitnick often steals the identity of one or more employees in order to gain further access, while probably ruining several people’s careers in the process. 4. With the exception of his mom and grandmother (enablers who bail him out repeatedly) he expresses no remorse for his actions. He is convinced that what he does is completely harmless. In fact, he sees himself as the victim. He even blames his victims for being gullible enough to believe his lies. 6. When the courts punish him, he blames the legal system for ruining his life by saddling him a criminal record, which makes it impossible for him to gain employment at companies where a high security clearances are needed. 7. Return to the beginning. Repeat cycle. With the exception of a few amusing stories about his exploits as a teenager where he hacked the drive-through intercom of a McDonald’s drive-through and playing pranks on friends by screwing with their telephone numbers, the book is very repetitive. Save yourself a lot of time and just Google Kevin Mitnick’s name and you can get a cliff note version of his hacking escapades. I had to read this book for school (Cybercriminology), and opted to listen to it so I could get some school work done while commuting and going about my daily life. I just wanted to smack the guy. All these tales of his exploits with periodic expressions of contrition that rang hollow for me (boo hoo, I'm so sad that I stressed out my mom and gram), and a lot of instances of the pot calling the kettle black (I don't get guys who have to brag about their sexual exploits. Next sentence...I'm soooo I had to read this book for school (Cybercriminology), and opted to listen to it so I could get some school work done while commuting and going about my daily life. I just wanted to smack the guy. All these tales of his exploits with periodic expressions of contrition that rang hollow for me (boo hoo, I'm so sad that I stressed out my mom and gram), and a lot of instances of the pot calling the kettle black (I don't get guys who have to brag about their sexual exploits. Next sentence...I'm sooooo smart.). He is clearly impressed with himself and wants the reader to be too, but then paints himself as this naif at times who is falling prey to untrustworthy and disloyal "friends"...um, ok...you're a grifter. Plain and simple. Yes, the man is talented, but he also an addict...He is smart, but he is a con-man. I had a hard time seeing him as a protagonist. The bad: Mitnick's ego and lingering resentments sometimes get in the way and the story also gets dry and repetitive at points. The good: Mitnick's story is legendary, and while I get the feeling he isn't always 100% honest, this is probably the closest we'll ever get to the true story without embellishments and ridiculous rumors. As Mitnick points out several times in his own story, his escapades are remarkable enough without the crazy rumors that grew around his legend over the years. As a hacke The bad: Mitnick's ego and lingering resentments sometimes get in the way and the story also gets dry and repetitive at points. I got to read this book as part of a buddy read group where we pick different genres and types of books to get us out of our comfort zone. I started with quite a lot of expectations for this book and i'd have to say overall, I was a little disappointed. Probably 2.5 stars. Reminded me a lot of Wolf of Wall St and Catch me if you can. Better than the first, but not up to the latter. The subject matter was something I was looking forward to getting into, imagining a book of hacking adventure and in I got to read this book as part of a buddy read group where we pick different genres and types of books to get us out of our comfort zone. I started with quite a lot of expectations for this book and i'd have to say overall, I was a little disappointed. Probably 2.5 stars. Reminded me a lot of Wolf of Wall St and Catch me if you can. Better than the first, but not up to the latter. The subject matter was something I was looking forward to getting into, imagining a book of hacking adventure and intrigue, like the movie Hacker or swordfish, but it actually is an unfortunate series of events in hacking into the phone company systems. I loved the social engineering side of this. Mitnick was brilliant at this and really shows how you can pretty much get anything you want out of people by being friendly, confident and clued up on the lingo. The story behind the FBI was interesting, as they struggled to keep up with this new white collar crime they knew nothing about. Receptiveness, Mitnick is trying to recall things that happened twenty years ago and it seems he used a very similar Modus Operandi on each hacking job. But that meant as a reader, we got to read the same thing over and over again, with a change to his social engineering calls and the phone numbers he now had access to. His attitude drove me nuts, dude, you're a hacker, you broke in and stole stuff. You broke into premises and stole from peoples desks, you stole dead babies identities, you racked up thousands of dollars of phone bills on half the population of Denver. You can't spend 500 pages trying to pull off the "it was all in a bit of fun, who did I rally hurt eh? Oh the FBI is hunting me like a dod, do I deserve this". I think in writing this book he really tried to down play what he did and that is disappointing considering what he then went on to do after being freed from prison. I didn't expect him to denounce hacking and try to warn you off doing it, but I also did not expect him to try and get sympathy for his plight. I think this is summed up well when one of the phone companies who he stole the source code from for their new mobile system claimed he cost them $60million in damages (they had no idea what he was doing with their source code, who he was selling it too etc). Mitnick claims that was the equivalent of stealing a can of coke and having the company sue you for stealing the recipe. Now that is blinkered thinking. Overall, I am glad I read it. I ended up really enjoying the hunt for his capture and how he was moving and trying to stay ahead. I feel like I learnt something from reading this book and enjoyed being out of my comfort zone. Since that was the object of the read, it was a success. This unbelievably wild and crazy book describing the "adventures of the world's most wanted hacker" was captivating from start to finish. Granted, I am a "technologically-inclined" sort of person, but this book appears to have been written to appeal to both "techies" and "non-techies" alike. Techies will appreciate the relative simplicity of the incredible hacks that Mitnick managed to pull off, while non-techies will gape in astonishment at the achievements and audacity that these hacks involve This unbelievably wild and crazy book describing the "adventures of the world's most wanted hacker" was captivating from start to finish. Granted, I am a "technologically-inclined" sort of person, but this book appears to have been written to appeal to both "techies" and "non-techies" alike. Techies will appreciate the relative simplicity of the incredible hacks that Mitnick managed to pull off, while non-techies will gape in astonishment at the achievements and audacity that these hacks involved—and are also given quick, but understandable explanations of technical jargon whenever necessary (which is actually not often, as this isn't a technical manual). No matter who you are, you will walk away from this book marveling at the extent of Mitnick's escapades (to give just one example: the way he was surveilling the FBI the entire time they were trying to surveil him!). This is the electronic equivalent of Frank Abagnale's story in Catch Me If You Can, and every bit as outrageous and entertaining. I hack, You betray, He accelerates the collapse of society. which about sums up Ghost in the Wires. A big shout-out, props, and whatever else the cool kids are saying nowadays when they want to show respect to William L. Simon, Mitnick's “co-author”. Mitnick shows no evidence of ever having read a book for the sheer joy of it, nor even writing a letter or a note on a refrigerator without the intention of deceiving someone. He seems complete uninterested in and unmotivated by concepts like beauty, devotion, faith, or justice, except to the extent that any of these ideas can help Mitnick to gain the confidence of others for his personal amusement or to leave prison earlier. I believe that the lack of these qualities renders him incapable of writing a book this interesting, so the book's success is due to Simon. He makes Mitnick jump off the page, warts and all, investing him with a perverse vigor and vitality. Only people dedicated to the same ethos as Mitnick, i.e., every self-interested act I take is justified because it is a blow against “the man”, will find him remotely sympathetic. But you really want to see how he gets away with the next hack, the next escape, the next confidence-gaming of some poor sap whose only fault is the impulse to be kind to strangers. In short, a good read. This book is probably safe to publish now because the social engineering scams of Mitnick and his ilk have caused such a great reduction in the level of trust in the world. The elementary-level trickstering describe herein no longer routinely take people in save for the hopelessly dopey, who will always be with us. So, like a magician whose tricks are now common knowledge, Mitnick takes what pride he can in fact that he was the first to think up mean ways to trick people. Many people here and elsewhere have remarked on the unintentional hilarity which is caused when Mitnick takes information he gains by betraying the trust of others and then shares it with like-minded individuals who – can you guess? -- betray him. 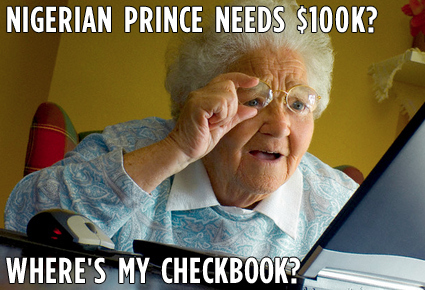 Mitnick is outraged! He clearly felt that he and other hackers were an elite brotherhood who had the right to exploit the rest of us poor saps but, being brothers-at-arms, not each other. But then he found out that there was no honor amongst thieves, a thing he could have probably have learned at much smaller cost to himself if he had read some books. I have heard that there is a certain amount of debate as to what should be the correct dictionary definition of “hacker”. Should it be “person who likes to tinker with technology” or “person who accesses information without permission”? I propose a third definition: “person who with intentional malice fails to understand game theory since it conflicts with his/her sense of entitlement”. Specifically, game theory has shown fairly conclusively that, when people trust and cooperate with each other, the outcomes are overall better for everyone involved. If we lived in a society like that, everyday life might be less of a headache, with less two-step authentication and obligatory changing of passwords. Like life being a headache? Thank a hacker! Shake his hand, if you can find a moment when he'll stop using it to pat himself on the back. The least of my complaints is that this guy, for all his alleged genius qualities, isn't a good writer. Which wouldn't bother me that much, except his "adventures" weren't that exciting. I further felt mislead because the prologue was an incredibly interesting two-man B&E into a corporation that he was paid to infiltrate as a security consultant. Once the actual novel started, there wasn't another paragraph nearly as interesting as the prologue. More specifically, most of his hacking was pho The least of my complaints is that this guy, for all his alleged genius qualities, isn't a good writer. Which wouldn't bother me that much, except his "adventures" weren't that exciting. I further felt mislead because the prologue was an incredibly interesting two-man B&E into a corporation that he was paid to infiltrate as a security consultant. Once the actual novel started, there wasn't another paragraph nearly as interesting as the prologue. More specifically, most of his hacking was phone "phreaking," where he cons the phone company into giving him free long distance in various ways. Which, in an era where I can make free video calls to other continents with Skype, is simply not compelling literature. The way Mitnick got access to almost every single system he hacked was by conning a person into giving him access directly or information that would then get him access. We get it, the human element is the weakest in every computer system. This became incredibly repetitive very quickly. And I get the feeling that the repetitive nature of this novel is in part because it is filled with a number of lies by omission, as well as revisionist history to paint him in a better light -- if not outright blatant lies. e.g. I never did anything with the information I hacked, it was all solely for "fun." Mitnick is quick to point out how he was betrayed by all his hacker friends, without taking any responsibility for himself or his actions -- which were, obviously, illegal, meaning any time he got caught, he deserved what he got. He was also a horrible son, grandson, boyfriend and husband, and again, doesn't take a lot of responsibility for how his actions affected the people that loved him while he kept hacking despite warnings from the police, FBI, and myriad companies that had been made aware of his exploits. On that note, the book jacket called him "elusive," except that by 1/4 of the way through this book, he had been caught multiple times, spending time in both juvie and adult prisons. Elusive? You keep using that word, I do not think it means what you think it means. For most people, computers are magic. Which is to say, they are technology sufficiently advanced to the point of mystification. I include myself in this camp, for despite my comfort with computers and my fluency in programming, a great deal of mystery still surrounds them. With the emergence of the Internet into the public sphere and the rise of the Web, computers and the phone system are now fundamentally intertwined, and vast swathes of our infrastructure are dependent on them. The dangers of For most people, computers are magic. Which is to say, they are technology sufficiently advanced to the point of mystification. I include myself in this camp, for despite my comfort with computers and my fluency in programming, a great deal of mystery still surrounds them. With the emergence of the Internet into the public sphere and the rise of the Web, computers and the phone system are now fundamentally intertwined, and vast swathes of our infrastructure are dependent on them. The dangers of cyberwarfare are very real. At the same time, however, it's important that we don't exaggerate or misrepresent this threat. Movies and television sensationalize the abilities and proclivities of hackers for the sake of drama and entertainment. Real hackers are quite different, and their motives and actions are as diverse and varied as the people they hack. Real hacking is independent of platform and technology; it's often more of a case of appealing to the weakest element in the system: the human. 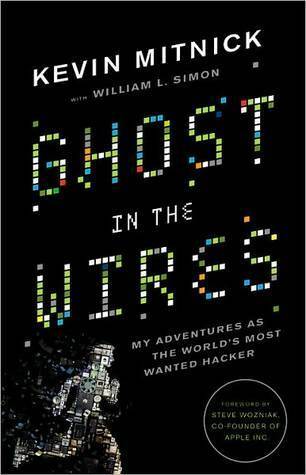 Ghost in the Wires is the autobiography of Kevin Mitnick, “the world's most wanted hacker”. His is a fascinating, even bizarre tale of the convergence of law enforcement, ego, and addiction. Thanks to Mitnick’s impressive abilities, equally impressive capacity for self-delusion and self-denial, and the media’s tendency to think the worst, exploits and escapades that start as harmless fun result in a years-long manhunt and nearly a decade of jail time. Mitnick's gateway into hacking is “phone phreaking”, unauthorized access to the phone company’s systems. This was in the days before the Web, before even personal computers, when computing itself involved entering programs line-by-line into computer memory and watching the read-outs on a printer, not a screen. It’s an era utterly alien to someone of my generation, let alone younger readers—and I love reading about how people interacted with computers at that stage. As computers and phones become more advanced, so too does Mitnick. He explains how he acquires the ability to clone cell phone numbers, and how he uses space in dormant accounts on university and company servers to store source code he steals from companies like Sun, Novell, and Motorola. He obtains access to the IRS and DMV records, which later becomes instrumental as he creates false identities and goes on the run. Mitnick keeps the structure of the book strictly chronological, with just enough foreshadowing to whet our appetites in anticipation of future events. However, some common themes quickly emerge. After his first few brushes with law enforcement over his hacking, Mitnick attempts to “straighten out” and quit, only to relapse time and again. In this sense, hacking is an addiction—it’s a challenge that provides a cognitive reward. No matter how hard he tries to give it up, he returns to it. This inability to rein himself in, even when he recognizes the dangers and the possibility of overreaching, is one of the reasons he eventually gets caught and goes to jail. Mitnick also faces a revolving door of betrayal. Best friends and confidantes turn coat and rat him out to get lighter punishments; people he thought he could rely on turn against him. I sympathize. However, these accounts are necessarily one-sided, and I get the sense from reading between the lines that there was a lot about Mitnick as a person that contributed to these changes of heart. Ghost in the Wires is a hefty book, especially as a paperback, and the pace is very slow. Mitnick enjoys teasing out every detail of his latest hack or discovery. Yet I never tired of hearing about it; I seldom wanted to put this book down. I just wanted to know what happened next: what was the next hack, the next run-in with the law, the next problem Mitnick had to overcome? Even before he becomes a fugitive, there is a sense of danger always around the corner. Though he spends a lot of time celebrating his ability to outwit and evade security employees from the telephone companies, he also gives due credit to those people who manage to outwit him. Once in a while, a technician or sysadmin catches on and boots him out. My reading pace is different for every book, but I literally did not want to stop reading this, stealing every possible opportunity to read as much as I could each day. There is just never a dull moment in the book. It’s also truly terrifying to see how quickly rumours become exaggerated and become part of the legal record. Mitnick stresses throughout the book that he never hacked for profit or out of malice. For him, it was merely an exercise in ego. That doesn’t excuse the actions, but it does mean that charges amounting to terrorism are unjust. The ignorance of the law enforcement and judicial officials involved in this case is staggering. The overreactions—not letting Mitnick have any access to a phone for national security reasons—are a sobering reminder of how easy it is to mislead people who are less informed. When those people are in positions of power, they can abuse or misuse that power unwittingly, under the impression they are acting in the interests of public safety. Perhaps the most surprising revelation in this book isn’t a technical one at all. Rather, Mitnick accomplishes some of his most daring hacks through social engineering. It’s incredible how willing people are to help him cirumvent their own company’s security procedures. With a little research and some guile, Mitnick poses as an employee from another office, tells a plausible story, and gets remote access or other information that people shouldn’t be so ready to divulge. The weakest link in our cybersecurity is not the technology. It’s us. The trusting operator, the cheerful colleague … these are all parts of being human and having positive interactions every day. But the best, most secure systems are worthless if all you need to do is sweet-talk someone into reseting an account’s password. Mitnick’s approach still works today. Just ask Mat Honan, who had his Amazon and Apple accounts hacked through social-engineering of customer support representatives, and from there, the hackers disassembled the rest of his digital existence. Ghost in the Wires is that sweet spot of books about technology. It’s accessible to everyone. At times Mitnick’s terminology definitely becomes a little technical and specialized—I don’t know enough about how our phone system works to pretend to follow his explanations of how he tricks the system into rerouting calls and letting him listen into private conversations. But that didn’t affect my enjoyment of the book or my ability to follow what he was achieving. It also has a strong social message. Mitnick’s relationship with hacking is an addiction just as damaging to his life as an addiction to drugs or alcohol. Moreover, the book is a warning that unless we make sure people in positions of power are better-educated about the capabilities of technology, we run the risk of innocent lives being ruined by misinformed authorities. The majority of Mitnick’s tale takes place in the 1980s and 1990s, in the infancy of the World Wide Web. There was no Facebook or Twitter, no Amazon or Google. Now we spend more and more of our lives online. Mitnick might have been the world’s first “most wanted hacker”, but I doubt he will be the last. And we’re all going to have to get a little more clued-in, or we will be in for a rough time. Executive Summary: I enjoyed this book, but it may only appeal to computer/phone geeks, or True Crime junkies. I ended up rereading this book with a few friends after attempting to pick something they would hopefully enjoy that they wouldn't have read otherwise. The jury is still out, but it looks like I might have done a poor job. I enjoyed the reread, but this book won't be for everyone. I've always been fascinated by the early days of computers and the internet, especially where co Executive Summary: I enjoyed this book, but it may only appeal to computer/phone geeks, or True Crime junkies. I've always been fascinated by the early days of computers and the internet, especially where computer cracking is involved. The late 70s and the 80s were basically the wild west. The idea of networked computers was so new that government was slow to react to those who took advantage. When they did finally react, it was often to an extreme, which I think is evident in some of the treatment Mr. Mitnick receives from law enforcement. Some of the rumors that developed around him over the years were pretty ludicrous. Not all of them however, and he could be a scary person to cross. I've read many books on the subject over the years. It's one of the few non-fiction subjects I'm interested in enough to read on my own away from school assigned reading. I even wrote a term paper on it in High School. How I managed to convince my teacher to let me read a bunch of books on computer crime, I don't really remember at this point. It's hard to read about computer crime and not come across Kevin Mitnick. He's arguably the most famous, or at least the most notorious computer "hacker" of his time. I find it interesting that Mr. Mitnick has embraced the new definition of Hacker. In fact he doesn't even bother to explain the difference. Back when he was active he would have been considered more of a Phone Phreak (which he does cover a bit) or a Cracker. Hacker used to be a nickname for obsessive computer types that would dig into depths of systems and code looking for the nooks and crannies. Maybe he chooses to call himself a Hacker because he's trying to appeal to a wider audience that wouldn't know the difference. Or maybe it's because he doesn't seem to feel like what he did was all that wrong, and might self identify with the original definition. While Mr. Mitnick's computer skills are no doubt impressive, I think most of his success can be attributed more to his Social Engineering skills rather than his technical ability. That and his ability to exploit the things he learns. Social Engineering for those unfamiliar, can be defined as the art of manipulating people into performing actions or divulging confidential information. It essentially a different way of saying to con someone, or the term used where computers and/or technology is involved. It relies heavily on knowledge of your targets security procedures and vulnerabilities. Often time people are the weakest link in computer security. Most of what Mr. Mitnick does is built on the work of others, exploiting bugs found by other people and the trusting and/or lazy nature of people rather than discovering new flaws on his own. He manages to obtain the source code for numerous operating systems over the years, but often time doesn't bother to spend any time looking at the code, he simply obtains it like a trophy. I can only theorize that he's incredibly charismatic. Reading this book he doesn't come off as a very likable person to me, yet people seem to jump to help him, even as he abuses their trust and love. That's probably part of why he's so successful at Social Engineering. One of my friends describe the book as repetitive. For someone not interested in the technology aspect, I can see how this is true. At a high level he used a lot of the same techniques to break into more and more complex systems, especially as the level of computer knowledge and security practices continued to evolve over the years. He tries to explain the various technical terms as he goes, and I had no trouble following what he wrote, but I was already familiar with a lot of the stuff ahead of time. It might get tedious or frustrating to those without any background. Similarly it might get tedious to those with more technical knowledge as he explains what may seem like basic concepts. The book seems to toggle between him trying to elicit sympathy from the reader for his exploits, and apologizing to the people he wronged over the years, especially his mother and grandmother. To be fair, a lot of incorrect and overly negative things were published about Mr. Mitnick over the years, while he was legally prevented from telling his side of things. Like I said in my original review, I'm sure the truth is somewhere in the middle of the two extremes. Despite the negatives, his story is an incredibly unique, and to me at least an interesting one. Parts of it read like it's straight from a spy novel. He uses his abilities not only to hide from his pursuers, but to spy on them to see how close they are getting. In the end his ego, and his inability to stop breaking into computer systems proves to be his downfall. He may not think so, but considering the fear he elicited in those pursuing and prosecuting him, he was incredibly lucky to come away like he did, and now to have a successful business where people pay him to do the kinds of things he went to jail for. Forgot to add this book. I noticed after putting another book on my shelves. I recall really enjoying this. After reading several books biased against Mitnick, it was nice to contrast that with something biased for him instead. It's hard to know what really happened. I'm sure it lies somewhere in the middle. I know that many people love Ghost in the Wires, but this book really bothers me. It's very difficult to be sympathetic towards Kevin Mitnick, who continually prevails upon his readers to let him have it both ways. I will leave whatever social sickness the brilliant Kevin Mitnick has to the mental health professionals, but suffice it to say that his writing in Ghost in the Wires is a terrific nonfiction example of an "unreliable narrator." Throughout the book, Mitnick does the same things over an I know that many people love Ghost in the Wires, but this book really bothers me. It's very difficult to be sympathetic towards Kevin Mitnick, who continually prevails upon his readers to let him have it both ways. I will leave whatever social sickness the brilliant Kevin Mitnick has to the mental health professionals, but suffice it to say that his writing in Ghost in the Wires is a terrific nonfiction example of an "unreliable narrator." Throughout the book, Mitnick does the same things over and over again and is surprised when he repeatedly gets caught. He hurts his mother, grandmother, wife, and friends over and over again with his illegal hacking activities, says he regrets doing it each time, but then turns around and does it to them again. Mitnick is upset when he is blamed for things he "didn't do" and when he is "double crossed," but he freely admits to dozens of other computer break ins and instances where he compromises the trust of others using "social engineering" techniques, ridicules them for trusting him, and then betrays that trust. Mitnick says he never took money from hacking, but now of course he's making money from writing this and other books as well as from promoting his computer security company based on his (illegally obtained) skills. Mitnick is all over the place. In one scene Mitnick is severely critical of prosecutors who use "dirty tactics" to put him behind bars, but then he continues to use his own dirty tactics while behind those bars. For instance, Mitnick is contemptuous of being put in solitary confinement so he can't "phone freak" (a form or hacking using an ordinary telephone), but then uses his severely limited (and monitored) prison pay phone time to phone freak anyway by dialing behind his back as a guard watches, apparently just for the thrill of it and with complete disregard for any consequences. Even after he is apprehended multiple times, Mitnick still doesn't "get it." He is condescending to and openly critical of the FBI, local law enforcement, and the media throughout the book for their lax procedures, but still doesn't seem to understand why breaking and entering highly sensitive computer systems is wrong and dangerous. When they find his stolen database of thousands of credit card numbers, he doesn't understand why he should be prosecuted for possessing them because he didn't actually use them to steal money. "That would be wrong," he says. Another instance: he spends most of the book using cloned cell phones to make "free" calls all over the world, which are billed to unaware random consumers. This form of theft, as well as repeated breaking and entering, both electronically and physically, seems to be viewed as no problem. While on the run Mitnick takes great pains to steal and set up new identities in Las Vegas, Denver, Seattle, and Raleigh NC, but each time he goes back to his old hacking and cell phone tricks only to get discovered again and again. In one scene he finally figures out that he is being tracked electronically by the authorities when he uses his cell phone, and is actually being followed by a helicopter that zeroes in on him every time he makes a call. Does he then stop making cell calls? No. Does he stop hacking? No. Even when he is suspicious of being compromised on the phone, he still keeps calling and talking "for hours" to the informant, and yet feels betrayed when they turn over what they have to the authorities. Mitnick seems to blame everyone but himself most of the time for having the unmitigated gall to trust him through his so called "Social Engineering," which he both repeatedly relies on and harshly criticizes his marks for falling for. He even blames others who actually create the computer systems he feels compelled to compromise. It is much more difficult to create than it is to tear down, and instead of compromising these networks for "trophies," one is left wondering what the incredibly talented Mitnick could have done if he had spent as much time and energy building systems instead of breaking into and stealing information from them. Read this, if for no other reason to understand, in a fun way, those sweet, early, open, pre-commercialized days of the Internet in the 1980s and 1990s. Don't knock it: nostalgia is a great motivator. Full disclosure: I found 2600 magazine in high school (among the zines at a local indie record store, fortunately) and had several Free Kevin stickers. The downright illegal means used by law enforcement to pursue Mitnick, and the legal system's irrationality and unjust punishment of him, provided o Read this, if for no other reason to understand, in a fun way, those sweet, early, open, pre-commercialized days of the Internet in the 1980s and 1990s. Don't knock it: nostalgia is a great motivator. Full disclosure: I found 2600 magazine in high school (among the zines at a local indie record store, fortunately) and had several Free Kevin stickers. The downright illegal means used by law enforcement to pursue Mitnick, and the legal system's irrationality and unjust punishment of him, provided one of my earliest and most memorable lessons about corporate and government collusion and power, and I wanted a refresher course as well as more information than I had in the early 1990s. Hence, this book. Mitnick does a terrific job describing technical concepts involved in hacking, that I think are easy enough for the lay person to understand, especially because most of his tactics involved social engineering: calling people up and asking for information outright. This is key, since most people's concepts of hacking is focused entirely online. I remember when I worked in technical support, for example, and ran into some fraud cases. For credit cards, it was easy to predict (down to the exact 2-3 days each month) when fraudulent purchases would spike, because we knew their statement cycles and thus when paper statements would arrive in mailboxes. (In the late 1990s, they still bore the full credit card number.) Almost all online purchase fraud at the time was due to simple mail theft. Mitnick does not try to make what he did seem overly complicated or focus on the technical aspects of hacking to the exclusion of the social ones: he doesn't try to get the lay reader to admire him even more by belaboring these points, as he could have. The book is just packed with great anecdotes and highly entertaining. As others have said, it very much reads like a suspense novel at times. Mitnick's honesty is refreshing, as it's there even when it doesn't cast him in a "glorified hacker" light: Mitnick is honest, for example, about the extent to which he depended on the kindness of others, and how he lived when he had little or no money. Hackers tend to be represented by the media as if they spend their days flying between Monaco and the Cayman Islands (and I'm sure some of them do), but it's a myth that Mitnick does a nice job of busting with detail about his life. It's strip malls, Kinko's and Sizzler rather than Corsica and Durban. Mitnick has always maintained his innocence, so I expected a lot of "I did not do this," but that's not what you get. He very much describes what he did, but is also very clear about what he did not do. The book is very much a public service because it provides specific, well documented detail on the lengths to which law enforcement officials will go to frame someone, essentially, and put them in jail simply because they want, "feel" or "believe" they belong there, even when there is no evidence. There was, in the Mitnick case, tremendous lack of responsibility and professionalism on the part of the FBI and several police departments, and the public should know the specifics. The FBI needing to, and illegally hiring a civilian to, catch Mitnick, for instance, indicates that he most likely would not have been caught by law enforcement alone. While this does, yes, cast Mitnick in a more sympathetic light, it's much more valuable than that. Year ago before Tech TV morphed into G4 (and we were treated to endless repeats of Cops and Cheaters), I happened to tune in one afternoon to see an interview with notorious hacker Kevin Mitnick. At the time, Mitnick promoted his book The Art of Deception and discussion in general terms how he wasn't necessarily a hacker so much as a social engineer. Mitnick went on to say that part of his sentence was a gag order that prevented his specifically discussing his crimes and life as a hacker for the Year ago before Tech TV morphed into G4 (and we were treated to endless repeats of Cops and Cheaters), I happened to tune in one afternoon to see an interview with notorious hacker Kevin Mitnick. At the time, Mitnick promoted his book The Art of Deception and discussion in general terms how he wasn't necessarily a hacker so much as a social engineer. Mitnick went on to say that part of his sentence was a gag order that prevented his specifically discussing his crimes and life as a hacker for the next decade or so, but he promised that we'd eventually get a book detailing his early days. I was intrigued enough to pick up The Art of Deception and quickly read through it. It's a must-read for anyone interesting in making sure you keep your personal or company information out of the hands of people who either enjoy the thrill of collecting it as Mitnick did or want to do something more nefarious with it. A decade or so later, we've finally reached the day when Mitnick can come clean and detail his life as the most wanted hacker in America. His autobiography Ghost in the Wires is every bit as fascinating as I'd hoped it would be when I first heard from Mitnick all those years ago. At long last, we could finally see inside the world Mitnick hinted at in that interview and in his previous two books. Mitnick's story of how he learned how to hack various phone systems and social engineer his way into the databases of multiple phone companies is a fascinating one. Mitnick repeatedly asserts that he wasn't interested in committing any kind of criminal act so much as he enjoyed the thrill of seeing if he could do something and how it could be done. At times, the book is a page-turner as we see inside Mitnick's world of how his life of hacking consumed him at times, while at others he tried to walk away and not hack any more. There are some technical discussions of what Mitnick did or various software programs he was interested in seeing that, quite frankly, I just skimmed. It may be interesting to those with a detailed knowledge of these things, but what I found more compelling was the human story Mitnick tells. At times, Mitnick is a bit short-sighted in things and that comes across. His repeated surprise that anyone would be interested in what he was doing, much less want to arrest and prosecute him is amusing. *Future events are given away sometimes chapters ahead of time like when he compares his flight from Denver to his flight from the South. *A lot of crappy figures of speech like "hit me like a ton of bricks". You can do better. *A goodly amount of self defense in the form of "this attack on me was false". These are superfluous as the reader that is paying attention knows which of the claims go which way. *Random inclusion or exclusion of technical detail. How wildcard characters are explained twice in two disjoint chapters but in one between. *Very little actual insight is offered. He talks at the end on how he's brought in to speak on how to make organizations safer but he makes no reference to these recommendations. *A goodly number of "look how clever I am". Yes, we get it, you're smart. Kevin Mitnick is an arrogant jerk. But since I'm still processing my affection for arrogant jerks that doesn't really interfere with my enjoyment of his book. Though it's hard not to roll my eyes hard and how super-fantastic everything turns out for him in the end. The story of Mitnick's hacking, his two and a half year evasion of the police and FBI and his subsequent trial is constantly engaging and occasionally exciting, filled with tips, quirky asides, and the occasional bit of jargon pitched Kevin Mitnick is an arrogant jerk. But since I'm still processing my affection for arrogant jerks that doesn't really interfere with my enjoyment of his book. Though it's hard not to roll my eyes hard and how super-fantastic everything turns out for him in the end. The story of Mitnick's hacking, his two and a half year evasion of the police and FBI and his subsequent trial is constantly engaging and occasionally exciting, filled with tips, quirky asides, and the occasional bit of jargon pitched just above my competence. I was forced to read this by my Hubby. Needless to say, he's a bit of a computer geek. This was the first book he read cover to cover since finishing law school so I did feel somewhat obligated to pick it up. The book is by Kevin Mitnick about his adventures in hacking. I would definitely not call the book well written but I did find his life fascinating. He started hacking as a teenager and never stopped. He's as addicted to it as one might be to heroine. No exaggeration. Despite being arrested I was forced to read this by my Hubby. Needless to say, he's a bit of a computer geek. This was the first book he read cover to cover since finishing law school so I did feel somewhat obligated to pick it up. The book is by Kevin Mitnick about his adventures in hacking. I would definitely not call the book well written but I did find his life fascinating. He started hacking as a teenager and never stopped. He's as addicted to it as one might be to heroine. No exaggeration. Despite being arrested and thrown in solitary confinement, the man could not stop hacking. Even when he crossed the line and his crimes delved into federal territory, he kept at it. Despite being double-crossed by nearly all his friends, losing his wife and breaking his Mother's heart over and over again, he still could not stop. He's an addict through and through. I don't know how else to describe him. While I found his selfishness detestable, I did appreciate his skills and his ability to thumb his nose at authority. The best part of the book is by far when he discovers his own investigation. He's able to eavesdrop on investigators that are eavesdropping on him. I can't help but respect him for that. His skills are amazing. Ghost In The Wires follow the adventures of Kevin Mitnick, a man who is considered to be one of the most famous computer criminals of all time. The book follows Mitnick as he starts his social-engineering career. Readers are able to explore the mind of a hacker who had the ability to obtain Social Security Numbers of Americans by doing simple steps that would take less than a day to complete. 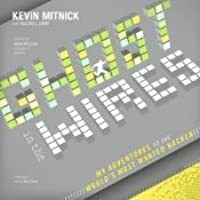 At times it even seems as if Kevin is dealing with an addiction, unable to stop his love for hacking, co Ghost In The Wires follow the adventures of Kevin Mitnick, a man who is considered to be one of the most famous computer criminals of all time. The book follows Mitnick as he starts his social-engineering career. Readers are able to explore the mind of a hacker who had the ability to obtain Social Security Numbers of Americans by doing simple steps that would take less than a day to complete. At times it even seems as if Kevin is dealing with an addiction, unable to stop his love for hacking, continuing to hack thoroughly for the thrill of it, just as a druggie takes drugs for the need of a high. Readers get the opportunity to view the mind of an extremely tech-smart individual who was able to get information most American citizens dare to give out in private. Readers also get the chance to view the US Governments way of handling scenarios they had no true control over, arresting Mitnick on false terms such as having the capability to launch a Nuclear missile with the touch of a button. We follow Mitnick through his experiences in Prison, his journey towards freedom and his current job of hack-proofing the security systems of some of the largest companies in America. Kevin Mitnick does an excellent job of giving readers a look into the mind of a social engineer during the up rise of technology. He uses prompt and detailed information about what he did to hack and social engineer some of the biggest names in the Security and Financial world of that time, something most authors try to sway from. Kevin Mitnick takes readers on both an emotional and logical journey, taking us through his experiences in Prison to being able to hack a new identity while on the run from the FBI in the early 90s. He takes us through emotional up rises of getting married to the woman of his dreams to downfalls of being ripped apart emotionally in solitary confinement. This novel is perfect for anyone interested in the psychology of a con, hacker, or even a social engineer, and can even be a great read for anyone interested in technology during the late 80s to 90s. Was about to give the book 3 stars, which according to Goodreads means "I liked it", but understood that it would have been grossly unfair to judge this type of a book on the same merits I judge fiction books on. This biography was lava-hot recommended by the one of the co-founders of our tech company when a portion of us (me included) rebelled against introduction of policies. This introduction felt almost like a betrayal of trust (that as an employee I felt went both ways up to that point) and Was about to give the book 3 stars, which according to Goodreads means "I liked it", but understood that it would have been grossly unfair to judge this type of a book on the same merits I judge fiction books on. This biography was lava-hot recommended by the one of the co-founders of our tech company when a portion of us (me included) rebelled against introduction of policies. This introduction felt almost like a betrayal of trust (that as an employee I felt went both ways up to that point) and stung. Well, thanks to the book, the sting and the "betrayal" was taken out of the equation. Mitcnick really educates you on how astonishingly easy it is to social engineer people into giving business-critical information away. You really see how failure-prone a lot of security systems can be and you start questioning if your vital data is safe with organizations that hold it. As for the book itself, the introduction of a bit of healthy paranoia in a digestible and sometimes entertaining form is what its undoubtedly good for. However, Mitnick routinely was losing me on the particulars of how he was getting into this or that system, as my mind didn't find those bits exceptionally captivating and naturally began to wander. But I still found the book a decent entertainment and a well, if a bit sloppily, told story. Let's start with the good: This book is well written, entertaining, and nicely paced. It's a brisk read, and you won't put it down. Very interesting look into the computer world of the 80's and 90's. Clearly the writer is incredibly smart and has led an exciting life. 3 stars for that. All of these good aspects put the worst part of the book in sharp relief: Mitnick is a sociopath. I'd sooner read the sympathetic diaries of John Wayne Gacy than revisit Mr. Mitnick. On top of which he spends most Let's start with the good: This book is well written, entertaining, and nicely paced. It's a brisk read, and you won't put it down. Very interesting look into the computer world of the 80's and 90's. Clearly the writer is incredibly smart and has led an exciting life. 3 stars for that. All of these good aspects put the worst part of the book in sharp relief: Mitnick is a sociopath. I'd sooner read the sympathetic diaries of John Wayne Gacy than revisit Mr. Mitnick. On top of which he spends most of the book trying to convince you, the innocent reader, that he is the put-upon party - that he is the victim of friends and the law and the system. There's even a chapter entitled "I'm a scapegoat", which, if you can elicit any empathy for his victims, makes it all the more galling that he categorically rejects that anyone could have been hurt by this con artist. (Also, he seems to get the definition of scapegoat wrong. Don't worry - in this chapter of mixed metaphors, he also compares himself to a wizard.) He preyed on people's best intentions, trust and goodwill. So -2 stars for being an autobiography of someone I'm saddened to know exists. If I can recommend it to anyone, I'd recommend it to people who are interested in a non-fiction example of the "unreliable narrator". In that aspect it's fantastic. The challenge is reading through the book and trying to determine what other people might have felt while he cheated them. It would have made a great work of fiction, if only. The autobiography of Kevin Mitnick, the world's most wanted hacker. He relates how he became a hacker, his run in with the law, the cat and mouse cyber games while he was on the run from the FBI and the circumstances around his eventual capture and subsequent release. I'm not that much into biographies but I gave this a go as a group read. It had some interesting elements but overall the subject matter didn't interest me. I think it would appeal to people like software engineers and other hackers The autobiography of Kevin Mitnick, the world's most wanted hacker. He relates how he became a hacker, his run in with the law, the cat and mouse cyber games while he was on the run from the FBI and the circumstances around his eventual capture and subsequent release. I'm not that much into biographies but I gave this a go as a group read. It had some interesting elements but overall the subject matter didn't interest me. I think it would appeal to people like software engineers and other hackers maybe or maybe computer geeks in general. 2 stars is probably a little harsh because I know there are people who would be really interested in Kevin's "exploits" which involved a lot of hacking into phone companies and computer systems via a combination of social engineering and computer know how. I found it a little repetitive at times as we go from how he hacked into one system after another after another. It was interesting how he hacked in to monitor the FBI guys that were monitoring him even subverting there phone systems to field calls coming from other FBI agents. The audio narrator Ray Porter did an OK job. Good enough to keep me listening anyway. أعرف أن ترجمتي للعنوان غير جذابة، ولكن الكتاب ممتع ومثير، وشخصية كيفن ميتنك وما مر به من أحداث، تجذب القارئ لمتابعة القصة التي تبدو كأحد أفلام هوليود، وقد تحولت بالفعل إلى فيلم فيما بعد وإن كان غير مرضٍ لميتنك لأن الفيلم قام بشيطنته، وكان سيسبب له الكثير من المشاكل لولا تدخله، لحذف بعض المشاهد التي كانت ستخلده في الذاكرة كأحد أسوأ الشخصيات على الإطلاق. الهاكر هو قاطع الطريق الالكتروني، نسخة العصر الحديث الذي يمكنه الوصول إلى معلوماتك أو أموالك، سرقتها أو تدميرها، ميتنك كان مختلفاً، في أنه كان يؤكد طيلة الكتاب أنه لم يفعل شيئاً من هذا، لم يقم بأعمال الاختراق التي قام بها إلا من أجل متعة التحدي فقط، لم يحصل على أموال، لم يضر بأحد بشكل مباشر، نعم كان محتالاً، وخدع الكثيرين بما كان يسميه (الهندسة الاجتماعية)، والتي يعني بها التلاعب بالضحية، من خلال إيهامه بأن ميتنك زميل أو شخص مسئول، ومن خلال هذا يكلفه بأعمال، أو يحصل منه على معلومات، تسهل له اختراق الشركات. أهداف ميتنك كانت دائماً، شركات الهواتف والانترنت، ودائماً كان له أصدقاء، تساقطوا مع الوقت، وخانوه، حتى وصل إلى اللحظة التي فر فيها هارباً تطارده الـ FBI، ولكنه كان ذكياً جداً، قادراً على تغيير شخصيته، استصدار أوراق مزيفة، بل حتى الحصول على عمل في شركات في مدن أمريكية مختلفة، والعمل هناك تحت ستار، مواصلاً أعماله الخاصة ليلاً. قصة ميتنك كما قلت تبدو كفيلم هوليودي بالفعل، ملاحقات بالهليوكوبتر، هروب متواصل، وتغيير للشخصية، بل تصل القصة إلى ذروتها عندما تستعين الـ FBI، بخبير أمني شاب من أصل ياباني يدعى (تسوتومو شيمومورا)، كان ميتنك قد اخترقه، فلذا صارت المعركة ساموراية، معركة شرف بالنسبة إلى شيمومورا، تضيق الحلقة على ميتنك، حتى لحظة اعتقاله سنة 1995 م، والضجة الإعلامية التي صاحبت ذلك، وأيام سجنه العصيبة التي حرم فيها من بعض حقوقه، ووجد نفسه وقد تحول في نظر الإعلام والقضاة إلى خطر قومي، حيث تسربت فكرة غير صحيحة عنه أنه اخترق الـ FBI، والـ CIA، وأنظمة الدفاع، وهي صورة كادت تؤدي به إلى السجن لسنوات طويلة. الكتاب ممتع، وميتنك يجذبك من الصفحات الأولى، بقصصه الطريفة، صحيح أن تفاصيل الاختراق طويلة، وقد تبدو مملة للبعض، وقد يتوه القارئ قليلاً مع التفاصيل التي لا يلم بها، ولكن روح ميتنك ومغامراته تبقي القارئ حتى نهاية الكتاب. it needed a thorough edit which would have trimmed the length of the book by at least a third ... citing just one example, long strings of code interrupt the flow of the story and except for highly technical readers, are an irritation. The story is lost in this emphemera. Mitnick is 98% unlikeable - the thing that I most dislike is his dishonesty, and I feel listeners are being taken for a ride. Clever clogs Mitnick likes to dress his manipulation, deceit, guile and lying to people under the guise of the term "social engineering". But really it is still just lying and deceit. For him, any means will justify the ends. He'd lie to his grandmother (who he repeatedly seems to be apologising to), so I don't see why he wouldn't be manipulating his dear readers. Just what ends Mitnick was trying to serve, I'm not clearer about, even after listening to the entire book. DNF @ 12%. I couldn't abide Mitnick's tone of unrepentant arrogance describing his early escapades, and the style, while direct, was so full of unfamiliar, archaic jargon that I felt my eyes jumping past the endless acronyms. I'm sure there are people who love this book for revealing the "magic" behind social engineering, but I am not one of them. This book was all over the place that I don't even know where to begin to start how to describe this book. The book would make me from relieve to anger to calm. Some parts made me support Kevin and other times I didn't and at other times I felt frustrated with him and thinking he making a big mistake while reading this book. His story wasn't bad and it nice to hear from the person who lived through the chaos themself but his story felt it was all over the place. This books makes computer hacking sound super cool & full of action packed adventure (both in the virtual world and the real world). It is a mix between a crime novel and a computer hacker how to guide - great for a geek wannabe like myself. This is a biography, which means it's laid out from Mitnick's point of view and chronicles his life, obviously paying special attention to the computer hacking parts...which you will find out made up about 110% of his life anyway. It starts out with Kevin This books makes computer hacking sound super cool & full of action packed adventure (both in the virtual world and the real world). It is a mix between a crime novel and a computer hacker how to guide - great for a geek wannabe like myself. This is a biography, which means it's laid out from Mitnick's point of view and chronicles his life, obviously paying special attention to the computer hacking parts...which you will find out made up about 110% of his life anyway. It starts out with Kevin's boyhood, which sounded pretty typical for a 'tech-hall' resident - learning the ins and outs of the telephone system to make free calls, modifying your HAM radio to jam the local McDonald's drive thru speakers, driving your computer science teacher nuts by constantly breaking his passwords. These stories made me root for him to succeed. It was like him against the system, the man, the world...whatever term you use. Using his wits, and dorky knowledge, he managed to pull off lots of small pranks that would never really hurt anyone. Soon it seemed like all Kevin was doing was trying to find ways to get free phone calls, get free Internet, and hack into restricted files. Again, still nothing earthshattering. But, he was getting caught, kicked out of schools, off college campuses yet still he would try to find ways around this - he would just never follow the rules. Eventually, he went just a bit too far and was rounded up by the FBI and tossed into jail. Since he had been doing this hacking thing for awhile and was very very successful at it he had gained a bit of a reputation. However, his reputation was getting him pinned for crimes he didn't commit. Every big hack the FBI would suspect Mitnick. This rep ended up putting him away for a lot longer than he really should have, had it been another person...oh well, that is how it works sometime right? So, when he is released do you think he learned his lesson? No, of course not. He continues to hack until he is caught in dramatic fashion and put behind bars for another few years. The best part of the book was Mitnick explaining exactly how he managed to hack into apparently secure systems. He wouldn't use just his computer, as I would have thought. Most of the time he 'social engineered' (his term) people, i.e. he tricked them into giving him information or access. He had many tricks. It would start by finding out tons of info on whatever company he was going to hack. He'd call and gather a few bits of jargon he could use, or a name of someone important he could use later. Then he'd keep calling different people and trick them into giving passwords. For eg, he'd call someone and say he was from the IT dept, throw in a bunch of internal jargon, mention a name, and find out whatever he needed. "Hey it's Bob from ESIT, the BPS is down and we need to run the BOPS. John Doe (a Sr. Executive) needs the system up for an big client meeting. I see your BOPSS system is running, but I'm getting an error while trying to patch in a fix. Is your password still 1234?....no? Ok, let me know what it is and I'll patch in the fix and call you back". Mitnick had this whole ingenious system for tricking people, oh sorry 'socially engineering'. The overarching story was the whole FBI tracking him and trying to arrest him. Mitnick keeps coming across bits of info that eventually lead him to the FBI. He finds out they are about to arrest him so he runs for it, changes identities and stays on the run for years. The whole story is almost too surreal to believe, which of course makes for great reading! Overall, a great geeky read. A few days ago I started reading this book, after reading some comments and reviews about it some time ago. I had high hopes about this book, especially since I read Takedown by Shimomura and Markoff a few years ago a couple of times. I have to say that after two almost sleepless nights, some good laughs, and the suspens filled 400 pages, I can only say: A top-notch book for the average geek! I have been working with computers since I was able to read, thanks to my fantastic dad. I grew up as a t A few days ago I started reading this book, after reading some comments and reviews about it some time ago. I had high hopes about this book, especially since I read Takedown by Shimomura and Markoff a few years ago a couple of times. I have to say that after two almost sleepless nights, some good laughs, and the suspens filled 400 pages, I can only say: A top-notch book for the average geek! I have been working with computers since I was able to read, thanks to my fantastic dad. I grew up as a technical oriented teen, even writing some simple programs in assembly just for the fun of it! For years I have been working at several IT-companies and the last year or so I am more and more focussing on security and digital forensics. That of course gives me some head start with the more technical parts of this book -which are also explained in layman's terms- but even without such knowledge this book will be extremely hard to put away if you are even slightly interested in how people can be conned so easily! Takedown gave me the sense of a Hollywood-movie script, all blown up to make it more exciting, even before I read more on the real facts (yes, it was obvious). This book does read a lot easier and it has only happened a few times in my life that I simply couldn't stop reading a book, until my eyes and brain actually forced me to stop by shutting down. Kevin Mitnick is a fascinating person. I’ve been interested in his life ever since I read his amazing book The Art of Intrusion a few years ago. And now I’ve finally gotten around to reading his autobiography. I can’t even explain to myself why it took me years to start reading it. First, the bad stuff: there’s way too much tehnical detail about old telephone systems, sometimes it feels like he keeps doing the same thing over and over again, so the book gets a bit monotone at times. If you have a Kevin Mitnick is a fascinating person. I’ve been interested in his life ever since I read his amazing book The Art of Intrusion a few years ago. And now I’ve finally gotten around to reading his autobiography. I can’t even explain to myself why it took me years to start reading it. First, the bad stuff: there’s way too much tehnical detail about old telephone systems, sometimes it feels like he keeps doing the same thing over and over again, so the book gets a bit monotone at times. If you have a thing for old phones and you want to know more about how you could have hacked them back in the eighties, this book is for you! But my interest is in computers so I wanted to read more about computer hacking. Other than that, the book is amazing. Kevin Mitnick’s life isn’t ordinary in any way – the guy goes to great lengths just to keep things interesting, even if it means he could end up in prison which, eventually, he does. But not before breaking into every system he could, manipulating so many people into doing so many things to help him, being on the run for three years and just generally behaving in ways that I, as a nice and normal person, shouldn’t support, but for some reason I do. He seems to think of himself as quite innocent and people who were trying to catch him as very bad (they were just doing their jobs, Kevin) but I’m rooting for him either way. It helps that after prison he turned his life around and now hacks into systems only when he’s paid to do so. Kevin Mitnick, the world's most famous (former) computer hacker, has been the subject of countless news and magazine articles, the idol of thousands of would-be hackers, and a one-time "most wanted" criminal of cyberspace, on the run from the bewildered Feds. Now a security consultant, he has spoken to audiences at conventions around the world, been on dozens of major national TV and radio shows, Kevin Mitnick, the world's most famous (former) computer hacker, has been the subject of countless news and magazine articles, the idol of thousands of would-be hackers, and a one-time "most wanted" criminal of cyberspace, on the run from the bewildered Feds. Now a security consultant, he has spoken to audiences at conventions around the world, been on dozens of major national TV and radio shows, and even testified in front of Congress. He is the author of The Art of Deception and The Art of Intrusion.